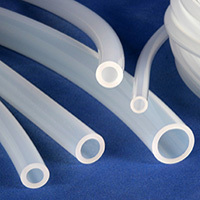 AdvantaSil® High Pressure silicone tubing is a high quality, cost effective solution designed for increased flow rates to reduce your processing time. The tubing’s unreinforced characteristic allows for limited pumpability up to 30 psi back pressure and makes it easier to see your process fluids. AdvantaSil High Pressure is the optimal choice for Single-Use applications such as TFF, virus filtration, inline integrity testing of filtration assemblies, and high volume fluid transfer. AdvantaSil High Pressure tubing has undergone extensive physical, chemical and biological testing and meets USP Class VI, FDA CFR 177.2600, ISO 10993, European Pharmacopoeia 3.1.9 and other standards. Full BPOG standardized extractables test protocol (six extraction solvents, tested to four different exposure times, out to 70 days) has been performed by a fully-accredited, third-party test lab. 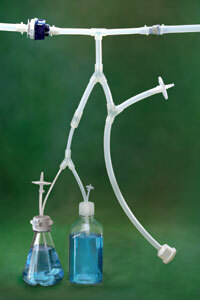 AdvantaSil High Pressure tubing is not intended for implantation or continuous steam applications. Now available as mini and standard Tri-Clamp® ends — call for details! Sold by standard coil length of 50 ft. Add length suffix code "L" to product number when ordering. Example: 50 ft. of .250 in. I.D. x .375 in. O.D. 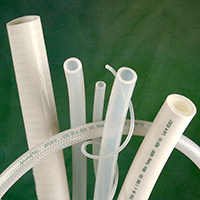 tubing is product number APHP-0250-0375L. Non-listed sizes and custom lengths available by special order. Coils are supplied double bagged in heat-sealed polybags and bulk packed. Contact your AdvantaPure Sales Representative regarding any special product or packaging needs. Recommended working pressures are calculated from burst testing using a 3:1 safety factor. 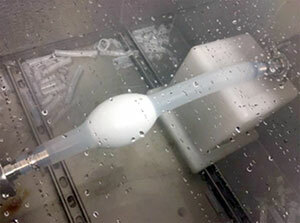 Testing was performed at ambient temperature. Application testing is recommended. 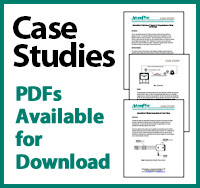 This case study describes the performance of AdvantaSil High Pressure Unreinforced Silicone Tubing (APHP) used in a Monoclonal Antibody process for the transfer of buffers in purification.